Color:Pasta Extruder With this revolutionary pasta press attachment yourKitchenAid stand mixer goes to work making fresh, homemade large or smallmacaroni, fusili, rigatoni, bucatini, fusili or spaghetti. Position thedesired plate and attach the press onto the power hub of any KitchenAid standmixer. 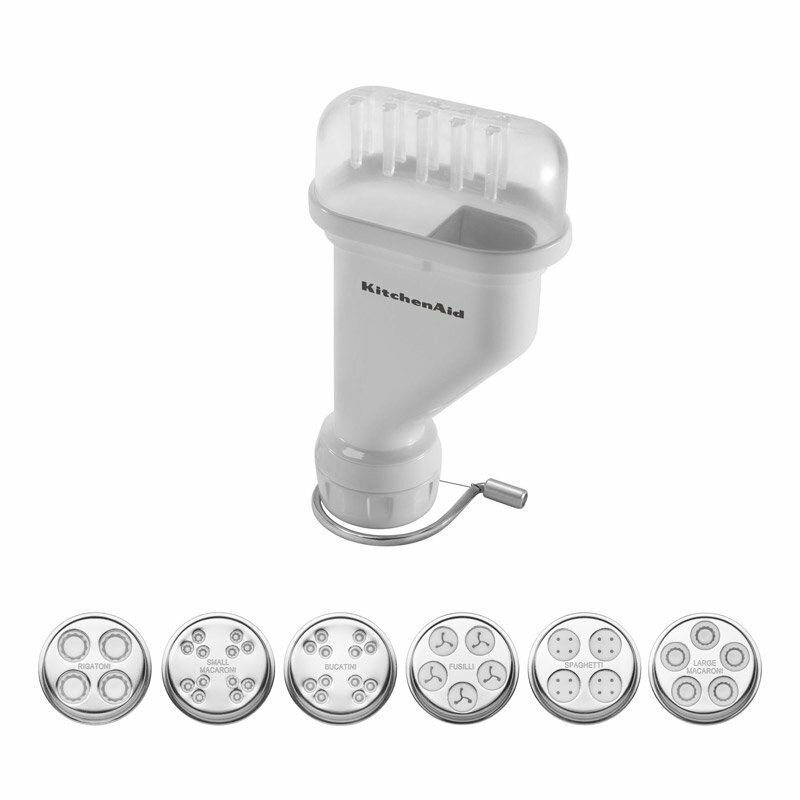 Feed balls of dough through the hopper and use the built-in wire cutterto customize the length of the noodles. Enjoy authentic homemade pasta inminutes, instead of hours spent rolling and cutting by hand. Six pasta platesstore inside the included case that conveniently stores onto the pasta pressattachment. Includes cleaning brush, instructions and Italian recipes. Auger,pasta ring and pusher tool are dishwasher-safe. Durable plastic housing.